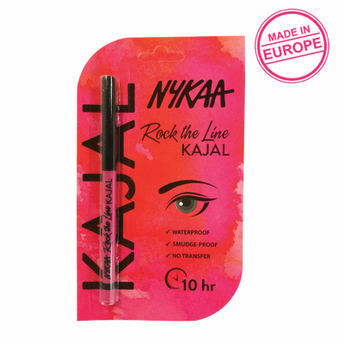 Stay gorgeous at all times with Nykaa's Rock The Line Kajal. Formulated to give you intense all day wear, it delivers triple-black pigment! Packed with skin-loving ingredients like Vitamin E and C, this waterproof Kajal glides on effortlessly. No tugging, budging or smudging! Say hello to your new favorite.